As much as my husband would disagree, I don’t own every piece of baking equipment there is. If I could get away with it I would love to buy myself a madeleine tin, mini muffin trays or a bundt pan. And I would definitely buy moulds for friands. 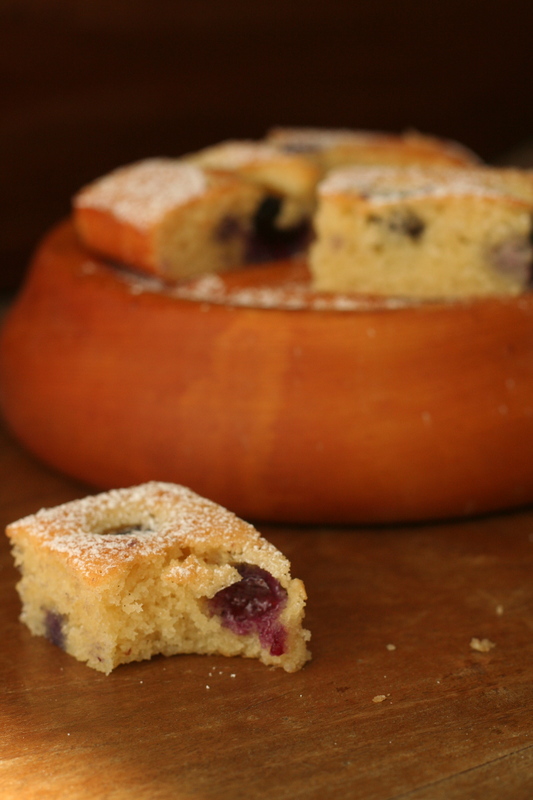 I’ve always thought of friands as a grown up version of a muffin or cupcake. Dense yet light, full of almond meal and sold individually (and often more expensively) these miniature cakes are full of class. Rather than purchase yet another baking tin I decided to adapt a standard friand recipe to make a friand slice instead. While you could pour the batter into a standard muffin tin, I was curious to see how a slice would turn out. 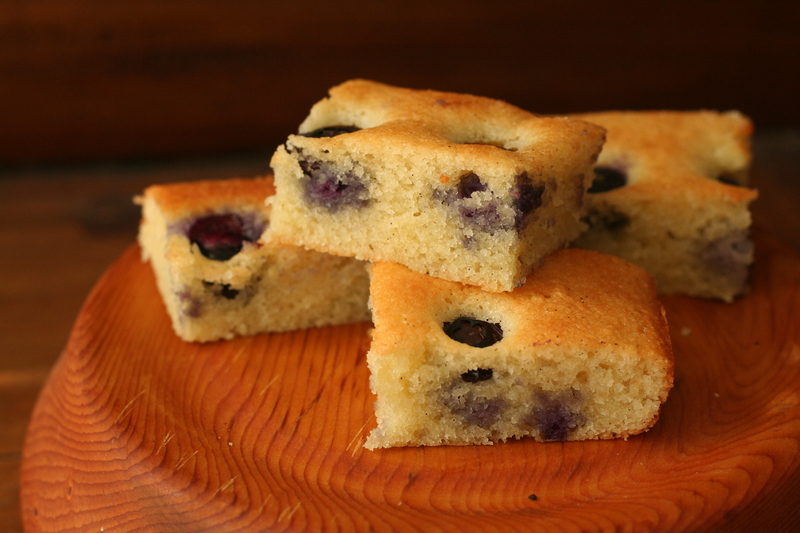 The cake is soft and moist and quite sweet and the blueberries burst full of juice when you bite into them. The centre pieces obviously don’t benefit from having the crunchy edge you get on a usual friand, but the taste more than makes up for it. 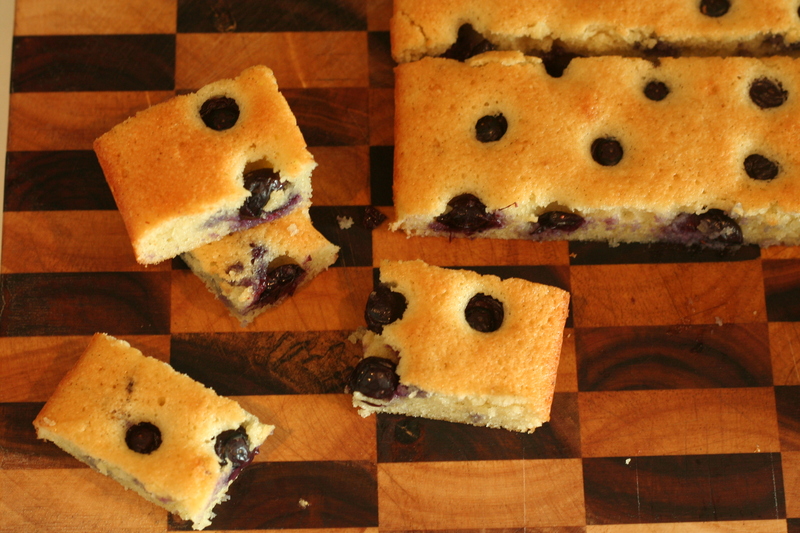 I was lucky enough to find some out of season blueberries on special, but any berry would work well in this recipe. I poked my berries into the batter before baking but they do sink somewhat anyway so if you like you can just scatter them over the top. If you can afford the luxury of using a vanilla pod I would highly recommend it. Not only do you get to see the tiny black specks within the slice but the vanilla taste is prominent throughout. This slice goes really well with a cup of tea and is perfect still warm from the oven, with just a dusting of icing sugar. 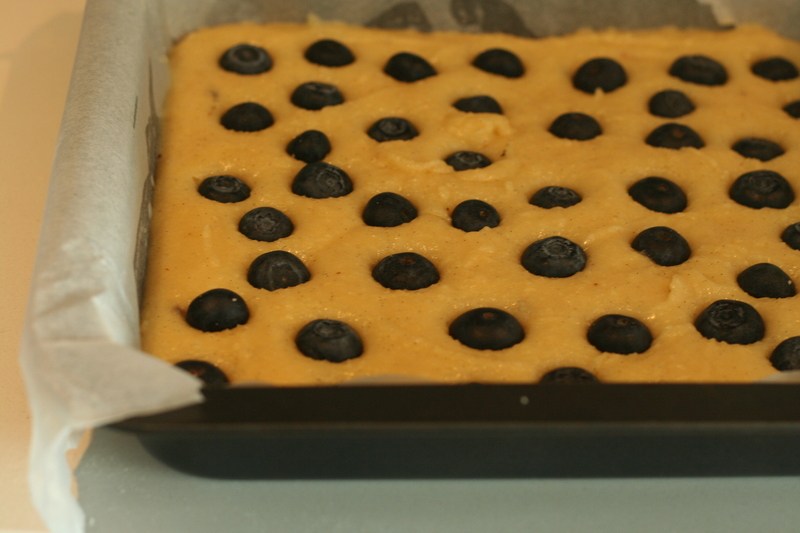 Preheat the oven to 150° and line a 20 x 30 cm baking tin with baking paper. In a large bowl whisk your egg whites by hand until combined and frothy. Sift in the flour and icing sugar then add the butter, milk, extract and almond meal. Mix to combine. Cut the vanilla bean lengthways and scrape out the seeds. Add to your mixture and gently stir until smooth and even. Pour into your prepared tin and smooth surface. 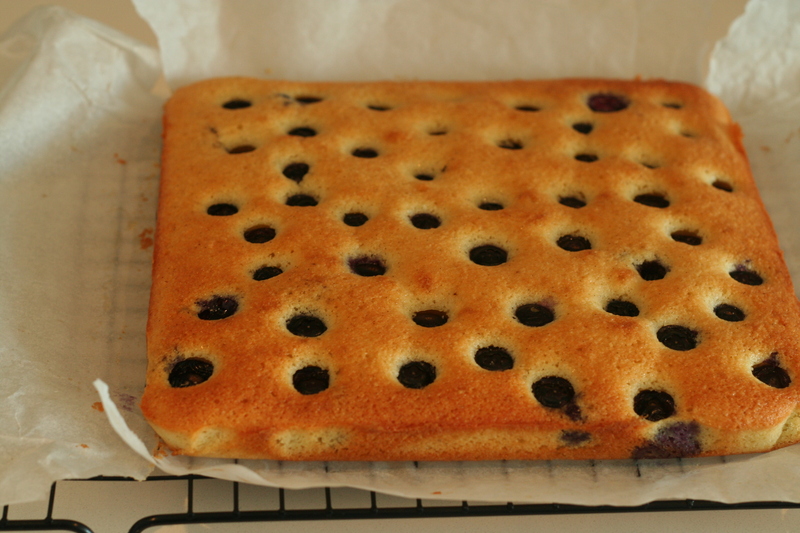 Scatter the blueberries over the top and bake for 25-30 minutes or until golden and springy to touch. Allow to cool in the pan then transfer to a board to cut. Dust with icing sugar prior to serving. I will tell my sister about your blog, it’s exactly her thing 🙂 Do you cook for parties and special events? Hi! I have previously baked for events, and I would love to do more of it. It’s just finding the time thats the issue! Those blueberries look so full of juice that they could pop! Wish I could enjoy a piece of this after my run with bf this morning. This is so cute! 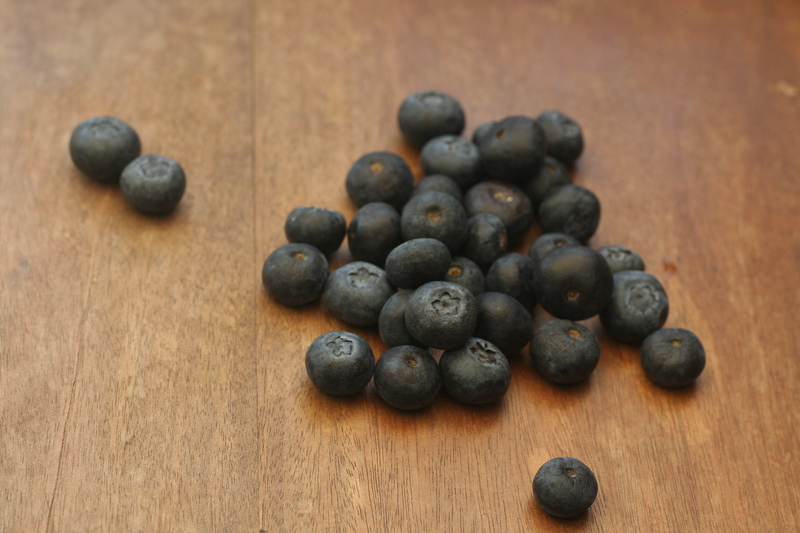 I love the way the blueberries sunk down and made a polka dot effect. I must buy something new for my kitchen every couple of weeks or so – even if it’s just a cookie cutter or a new shade of sprinkles! Yesterday I was longing for a flan tin but settled for mini tart tins instead. Without new equipment, how could we make new things! Thank you for a great recipe. I have made this a number of times now and always get asked for the recipe. It never fails and it always comes out moist and delicious and looking exactly like the photos. You can make it a day ahead, too.